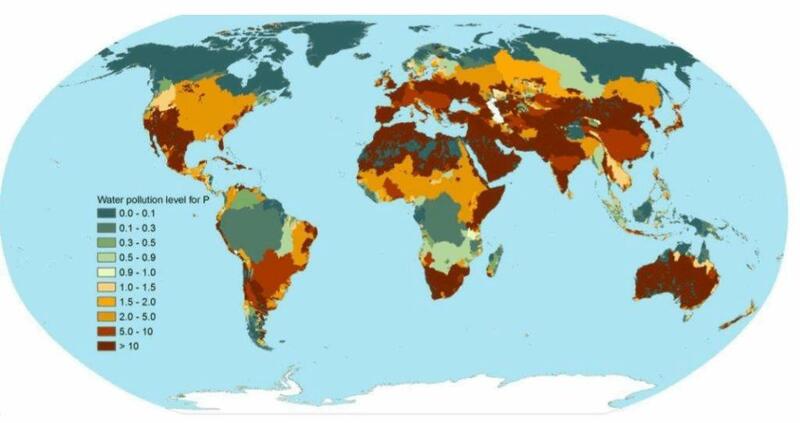 Share of major product categories (left) and regions (right) in the global man-made phosphorus load to fresh water from 2002 to 2010. 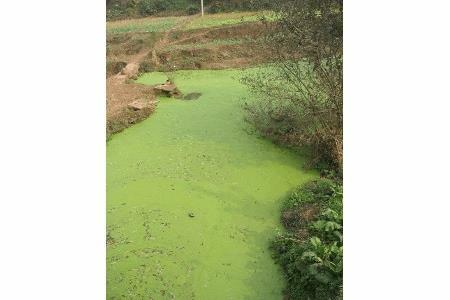 Water pollution level per river basin related to human-induced phosphorus loads from the agricultural, industrial and domestic sectors from 2002-2010. Basins with a WPL above one received more phosphorus than they could assimilate.